The modern family by Acne Studios is back ! 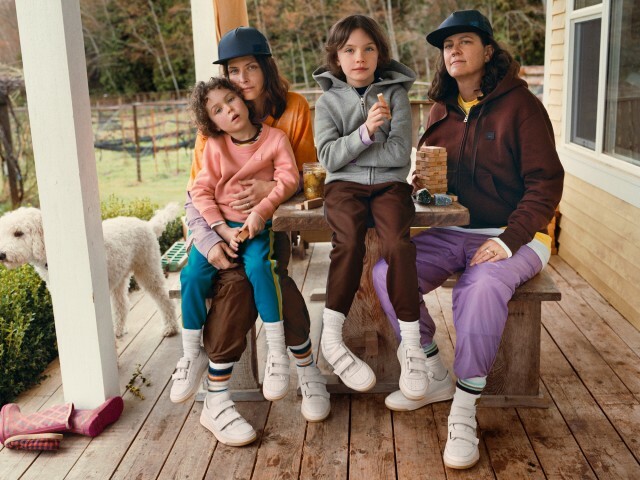 After the amazing Kordale and Kaleb first campaign for the brand’s face motif, Acne Studios released the second collection featuring the Tasha Tilberg clan. 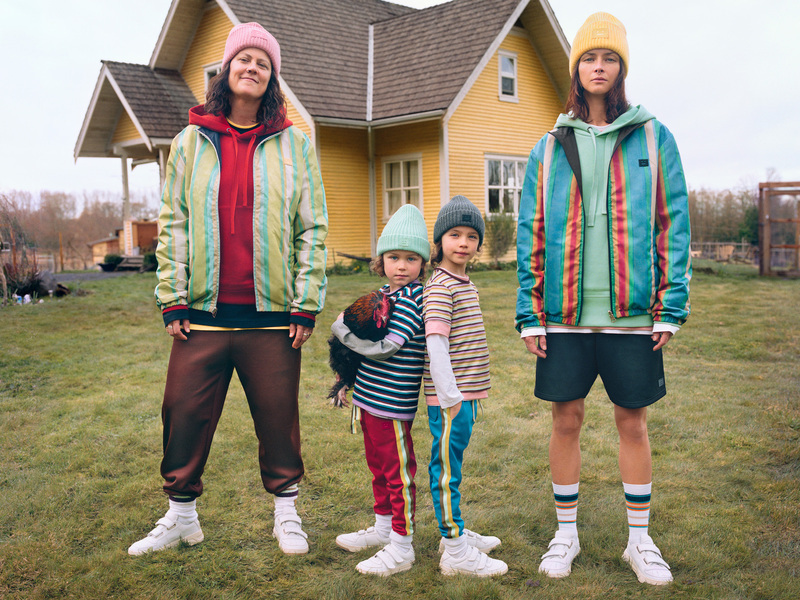 The campaign is starring Tasha Tilberg, an internationally renowned Canadian fashion model from the late 90s who decided to step away from the fashion scene to raise her family in the Canadian countryside. In an in-depth interview with Acne Studios, Tasha and her wife, talent manager Laura Wilson, discuss the regenerative properties of living in tune with nature, the challenges of life off-grid, and why they chose to raise their two children on a farm near Vancouver. 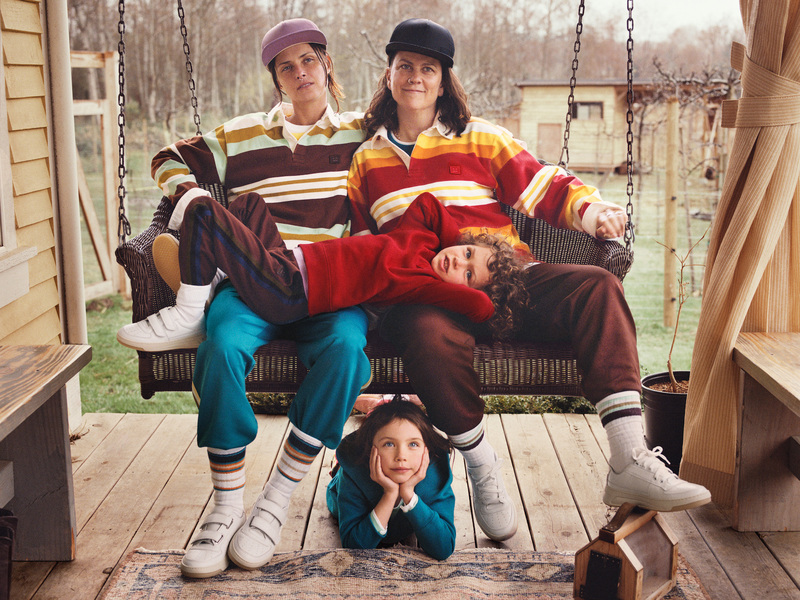 The campaign captures through the eyes of the photographer Craig McDean, the spirit of Tasha Tilberg’s family with her wife Laura Wilson and their six-year-old twins, Bowie and Gray, at their home in British Columbia, Canada. Fall/Winter 2018 marks the evolution of the line and its exploration of new colourways and product categories such as sneakers. 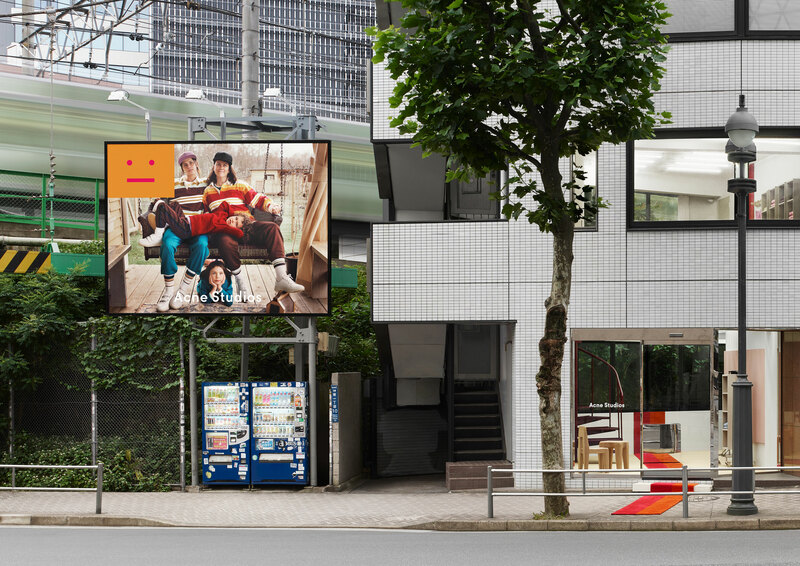 To coincide with the launch of the second collection dedicated to the brand’s face motif, the Acne Studios project store in Shibuya, Tokyo, is transformed with new interiors exclusive to the face motif collection. Acne Studio’s project store in Shibuya, Tokyo.